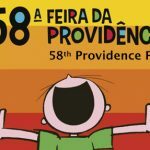 Starts today (28th), in Rio de Janeiro, the 58th Providence Fair (Feira da Providência). The event that promotes cultural diversity, themed “Peace on Earth”, should gather around 100,000 people at Riocentro, in the city’s West Zone. Until December 2, 200 exhibitors from 20 countries and 10 Brazilian states will promote a true cultural journey through regional crafts, gastronomy and folklore. The public will also find great variety of home and decoration, fashion, beauty, health and wellness articles. The novelties promise to make the fair a program for the whole family. One of them is the Decor Boulevard, where visitors will find more than 2,000 articles of home and decoration. And there’s more. This edition of the event brings back one of the most sought after items of the Fair: imported perfumes. In addition to the traditional French, Italian and American brands, the public will find products from Dubai, Poland and India. The Cultural Stage will also have a new tone this year. Every day, starting at 8:00 pm, an artist will be performing a different musical style on the stage. The venue will also feature traditional folk dances such as Scottish, Portuguese, Bolivian, Gypsy and Afro. In the traditional Market of Imported Products, the public will find over 1,000 labels of beverages, including liquors, beers and wines, plus pastas, chocolates, olive oils, canned goods, pickled foods and articles for Christmas supper at special prices. Another huge hit of the event, the gastronomy area will have seven restaurants with typical foods from different regions of Brazil and the world (Argentine, Italian, Portuguese, Arab, from Minas Gerais, Rio de Janeiro and the Northeastern Region), as well as food trucks and food bikes.